In For Honor, it’s hard to tell you’re fighting a lady until one of you is dead. Helmets and armor are so thick and so full that pausing mid-battle long enough to discern gender clues will probably get you stabbed. Padded leather, full plate, head gear, masks and mud-soaked boots, in the style of medieval warriors, make gender an accessory to combat prowess. 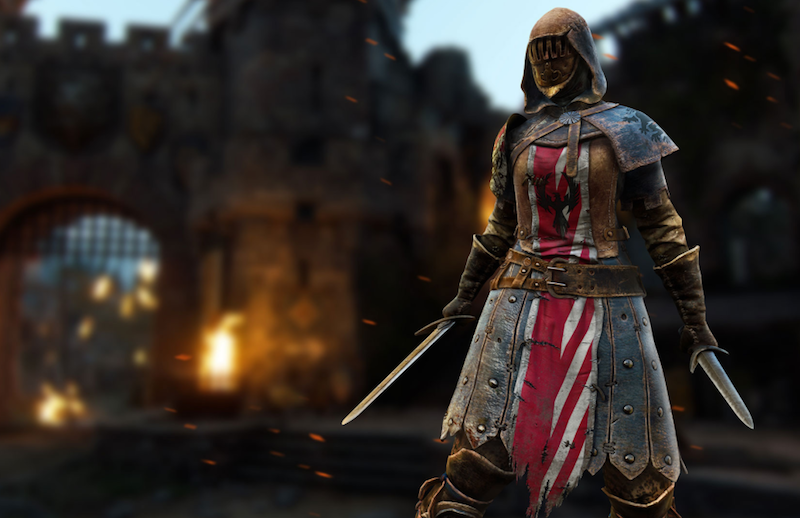 For Honor gets female armor right. Its designs diminish the trappings of femininity, framing female warriors simply as warriors. It means that female fighters’ armor is just as protective as male fighters’. It means I’m not wondering whether the town armory ran out of iron for their women or why the battalion chief sent in his command, unconcerned by the unarmored female bodies that would pepper the battlefield. For Honor’s armored women aren’t good because they’re covered up, but because their design is consistent with male warriors’ and the game’s medieval tone. Exactly half of For Honor’s cast of fighters is female. Of the medieval combat game’s four samurai, knight and viking heroes, two can be either gender, one of each is female and the other, male. 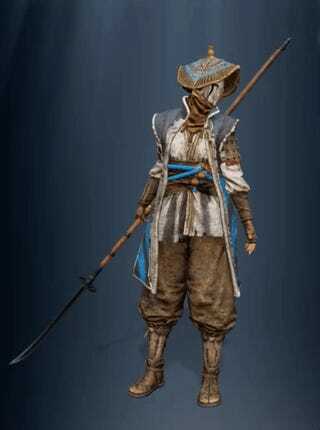 The peacekeeper, valkyrie and nobushi are female-only, smaller in frame than their male counterparts. Their hair is tied back, so it doesn’t fall into their face, or is stuffed into their helmets. It’s not uncommon for players to overlook enemies’ gender for entire one-on-one matches. The vocalizations of battle may give it away, but the grunts that accompany attacks and low, pained howls of defeat feel neutral—comparable to the sounds male warriors make, but a small hint nonetheless. In quick fights, I rarely have enough time to concentrate on my enemies’ figure or hair length, and it’s only dying sounds that betray the small detail of gender. I enjoy playing terrifying women in video games. In Dishonored 2, villagers gasped and fled when Emily Kaldwin entered the scene. It’s a good feeling when a game can accommodate female power fantasies as comfortably as male ones. In For Honor, the female berserker is a terrifying sight. She’s a formidable woman with ruddy cheeks, a braided, long mohawk and a stern frown. Around her waist is a thick, heavy belt, garnished by some gray fur. Her baggy pants are tucked into thick leather boots, which give the impression of sturdiness. Historically, berserkers don’t wear much armor, just what they kill and some leather. Ubisoft didn’t take that as a cue to wrap her in a bikini, or even slice her shirt in half. 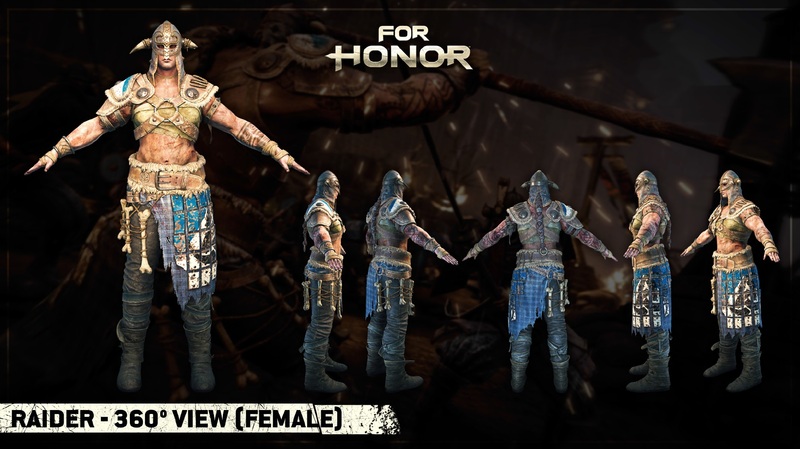 For Honor’s female raider does wear a half-shirt, but so does her male counterpart, whose chest armor is just two leather straps. For her part, some grayish cloth covers her breasts under the straps, which are connected by tough shoulder pads. There’s a reason why—defense is sacrificed so she can pursue and charge into enemies, a more mobile strategy than other classes’. Sure, For Honor is a game, and games don’t need to reflect reality. Balanced female armor is about giving players equal-terms escapism. Going in, men and women can envision themselves as warriors of equal competence. It gives all players the same opportunity to connect with their fighter, if personal identification is something they want.